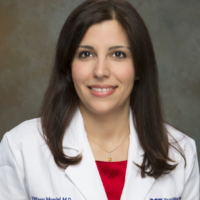 Dr. Tiffany Moadel received her medical degree from Stony Brook School of Medicine, New York in 2011. She completed her residency in Emergency Medicine at SUNY Stony Brook University Hospital, where she served as Academic Chief Resident from 2013-2014. She then went on to complete a Medical Simulation Fellowship at Yale School of Medicine. Dr. Moadel currently serves as the Director of Medical Student Simulation at the Yale Center for Medical Simulation. She is also a Clinical Instructor in the Department of Emergency Medicine.